Customer loyalty is the holy grail marketers have been seeking for years. Loyalty programs have become a means by which companies have attempted to gain this loyalty. We’ve all heard a variation of this loyalty “pick-up line” at one point or another. People usually join loyalty programs with the incentive to get the immediate discount, not an incentive for receiving rewards over the long term. Just because a customer joins a loyalty program, doesn’t mean they are loyal to you. Brands use the information derived from these programs to track user behavior and reward them based on previous purchases. And that tailored, personalized experience showing that you care, makes them care and gets you loyalty. Getting loyal customers is just like getting the popular girl in any 80’s movie. 80’s movies are notorious for having an underdog who overcomes all odds and obstacles to get his dream girl. While great filmmakers like John Hughes and Robert Zemeckis were painting entertaining stories with tones of moral values, they didn’t realize they were also teaching viewers a lesson in loyalty. Think about it this way. In this scenario, the popular girl represents the consumer and the boys are the hundreds of brands trying to get her attention. This “girl” is coveted by every boy in school A.K.A every brand and is constantly receiving offers of companionship. 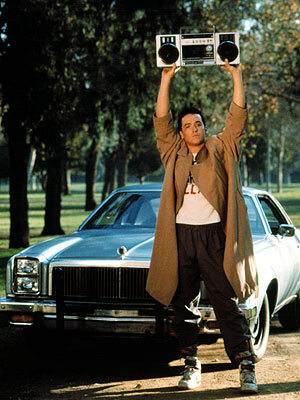 Brands are all broadcasting the same message that each underdog in a stereotypical 80’s movies asks- be mine. Choose me. But in either case, it’s the way that message is delivered that differentiates success from failure. If executed correctly, consumers will fall for you hook, line, and sinker. But it doesn’t happen over night. It’s going to take some strategy. Take cues from some of our favorite 80’s underdogs and find out how to get your dream girl otherwise known as the typical consumer to fall head-over-heels for your brand. 80’s underdogs always define their goals and know what they want before they take any action. Is he trying to impress his guy friends? Is the ultimate goal to have other jock guys think he’s cool and get accepted into their inner circle? Or does he genuinely like and adore this girl and want her to date him exclusively? Just like the underdog, it’s important to determine 1) what action you want users to take 2) what success will look like and 3) how you will measure it. Is there a specific promotion you want to focus on or do you just want general increased loyalty? 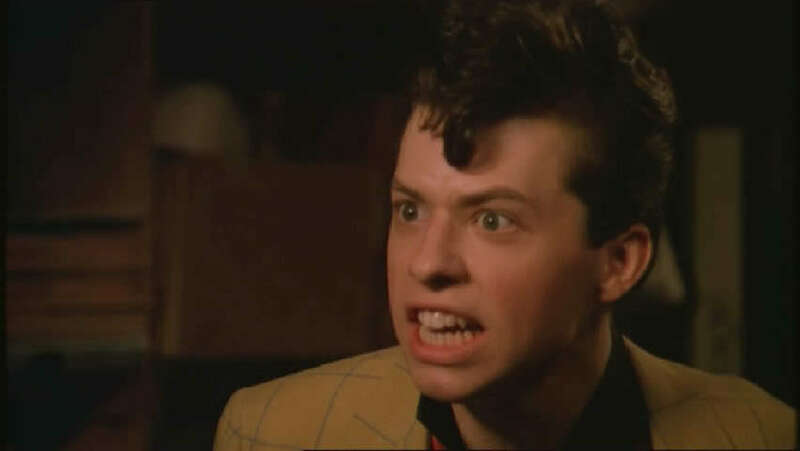 Does the 80’s guy want the girl’s loyalty for one specific event (prom, dangerous race down a mountain, etc.) or does he want the girl to generally be interested in him for an infinite amount of time (true love)? Figure out what you want and plan out the steps to make it happen. In the marketing world, we call these K.P.I.’s or Key Performance Indicators. 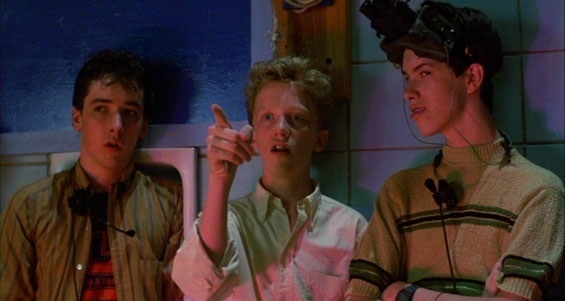 In Sixteen Candles, clear guidelines were set by Anthony Michael Hall’s character, The Geek. He defined his goal, to get Molly Ringwald to be his girlfriend and/or notice him. When that failed, he did not give up but simply redefined his goals to obtaining her underpants and proving his value. He set a plan in motion which involved obvious stalking, ripping open his pants doing the splits on the dance floor, drumming a birthday solo on a car dashboard and being a good listener. And low and behold, it worked. Goals make for great motivation and will allow you to evaluate if you’ve achieved success. Consumer research is a huge part of whether the consumer will say “yes” to you or not. Do not dive in blindly. Create customer segments based on past visit patterns, purchasing behaviors, consumption behavior, demographics, location, etc.. Leverage these segments and design customer-specific promotions. In 80’s movies, they find out everything they can about the girl. What does she like? Ask her friends. Find out. Michael J. Fox joined the school play in Teen Wolf because he found out his crush loved theater. Find out what consumers like and tie it into your loyalty program. 3. Scope out the competition. In 80’s movies, the popular girl usually has a popular jock boyfriend- let’s say this is your competitor. When she is not with him, she is constantly receiving tons of offers from other boys in her class. How does 80’s guy overcome this? He identifies how he is better. If the competition is really strong, maybe he’s sensitive and a good listener. Find something compelling and special to offer that they cannot get anywhere else. Colloquy Talk, has a great philosophy on fostering customer loyalty. When customers’ expectations are met, they are satisfied. When customers’ desires are met, they become committed. But when customers unrecognized needs are met, they become evangelists. If you act the same as the competition, they are not going to notice. The 80’s girl ditches the guy she’s with because she’s looking for something better. Same goes with consumers. Consumers will switch to a competitor’s loyalty program if offered the right rewards. 4. Be Confident! And Stand out! Consumers receive hundreds of messages from brands every day. If you’re offering the same thing as everyone else, you are not going to be noticed. 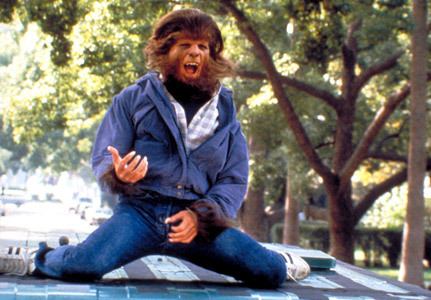 In most 80’s movies, this is where they bust out a signature dance move or dunk the winning basket… as a teenage wolf. Can’t turn into a furry basketball heartthrob? Then do something else that sets you apart. Be confident! Confidence is an admirable quality in a boyfriend and a brand. If your loyalty program doesn’t include anything special, over time customers won’t expect anything special, causing boredom and a loss of interest in your program. So stand out! Offer V.I.P. or exclusive rewards to your loyalty program members. The exclusivity of not being able to have something makes it so much more desirable. There’s a reason those Master card commercials where they list how much the items cost and then call an experience “priceless”. That’s what matters to customers. The brands they can associate with the happy, meaningful experiences in their lives are going to have a spot in their hearts… and their wallets. Maker’s Mark sends their loyalty members a Christmas gift every year. Send regular customers birthday cards, anniversary cards, holiday cards — you name it. Gifts are excellent follow-up tools and you don’t have to spend a fortune to show you care. Use your creativity to come up with interesting gift ideas that tie into your business, the customer’s business or his or her recent purchase. If special treatment, flowers, and a Justin Bieber face lift don’t catch her attention, some $$$ will. Can’t Buy Me Love prove that you actually can buy love. Yes, she fell in love with him later despite the cash but financial incentive has been proven to work. Let them know you’re thinking of them. Retail is all about allowing customer access to the same offering across all channels. Retailer loyalty programs should motivate omni-channel interaction. Back in the days of old otherwise known as the 90’s, there was no texting or social media. Flattery came in the forms of landline phones, locker notes, and physical gifts. 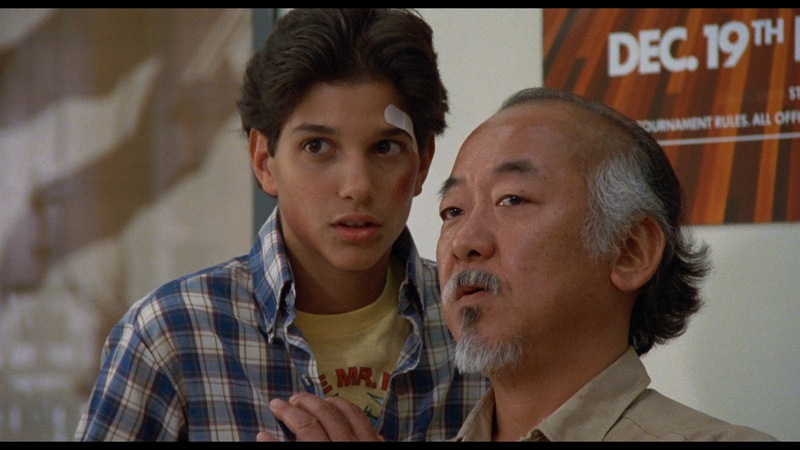 But despite the lack of technology in the 80s, the boy would find ways to always keep himself top of mind. As a brand, you should do the same. 8. BUT JUST REMEMBER. Avoid being desperate. Have they said no? Multiple times? Maybe it’s time to give up. They’ve opted out. Don’t be a stalker or spammer (Talking about you Ducky). There are plenty of other fish in the sea, consumers and girls alike. Re-evaluate your strategy to find your consumers. Just be you. Authentic, real you and the fans will follow.